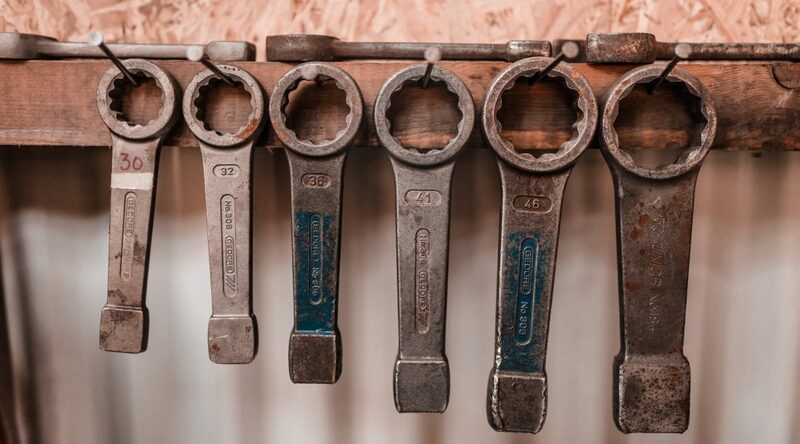 National Industrial Strategy 2030 and Competition Law – size matters? Germany’s National Industrial Strategy 2030 emotionalised competition experts: The proposal by the German Minister of Economic Affairs, Peter Altmaier, contains questions and answers that can be called “controversial”. On D’Kart, we continue the debate with a contribution by Johannes Persch – after economists had their say and Altmaier’s Director General Philipp Steinberg. At the beginning of February, Germany’s Minister of Economics, Peter Altmaier, presented the National Industrial Strategy 2030 (“NIS”). It’s guiding principle is „size matters“. It speaks of international competition increasingly raising the question of the “critical size” of industrial companies. It is pointed out that large commercial aircraft are only built by large companies and that Internet platforms and banks require an “enormous amount of capital”. The Ministry of Economics wistfully looks back on times when German manufacturers Grundig and AEG were still world market leaders. According to the NIS, the emergence of such German (or European – at least, the new industrial strategy is planned not only for a national level) large companies often fails because of the focus of German and European merger control on national and regional markets. Therefore, it argues, the existing competition law must be reviewed so that German and European companies find a level playing field. In essence, the aim is to facilitate mergers between large companies. After the prohibited merger of Siemens/Alstom, this advance is not surprising. However, it raises considerable competition concerns. The strategy paper does not give any convincing reasons why it is necessary to relax merger control. In theory, this could address market failures or questions of distributive justice – but this is not the intention of the Ministry of Economics. The NIS does not provide any arguments for a council permit as a counterpart to the German ministerial authorisation at European level. Therefore, this issue should be decoupled from the debate on industrial strategy as such. This is not least because the strategy paper contains promising other approaches to reforming competition law (to strengthen competition! ), which otherwise threaten to fail. What does the Ministry of Economics actually want to change in merger control? The statement that German and European competition law is opposed to mergers because of its focus on national and regional markets is simply not true. On the one hand, mergers are only prohibited in extremely rare cases: between 240 and 400 mergers are notified to the European Commission every year; normally, only one or two mergers are prohibited – if at all (see the Commission’s Annual Activity Report). The Bundeskartellamt’s statistics are similar: In 2017, out of 1243 decisions, only one was prohibited (see Annual Report 2017). On the other hand, both authorities are already carefully considering whether and to what extent foreign companies compete with domestic companies. In the context of the much-noticed Siemens/Alstom merger, for example, the Commission intensively examined the role that Chinese suppliers could play in the future (see the Commission’s press release and this speech by Johannes Laitenberger). Synergy effects from mergers are also already taken into account by competition authorities today and under existing competition law when they are passed on to consumers (Horizontal Merger Guidelines, recitals 76 et seq.). However, mergers do not in themselves lead to efficiency gains because of the sheer size of the resulting company. If in future the Ministry of Economic Affairs wants to allow mergers that go beyond this in order to enable competition at arm’s length, it can only mean one thing: more scope for politicians to allow mergers if they are detrimental to competition, but where there exist large foreign companies in the same sector that threaten to take market share away from domestic companies. The Ministry of Economic Affairs seems to have a special focus on Chinese companies. Michael E. Porter already stated this in his basic work “The Competitive Advantage of Nations” in 1990. Dominant national players rarely have an international competitive advantage. The promotion of national champions always entails the danger that only conventional industries and companies will be promoted – which is why it makes innovation and market entry more difficult and ultimately has the effect of restricting competition and reducing prosperity. The strategy paper even explicitly mentions a few “national champions” (Siemens, ThyssenKrupp, Deutsche Bank, automobile manufacturers) as examples and thus clearly shows which companies should be favored in the future: industrial companies that are rich in tradition. In a global environment where major innovations often come from start-ups, this seems hardly the right way to promote innovation in Germany and Europe. Accordingly, in an open letter, leading economists have given good reasons for opposing a relaxation of merger control and instead advocating a stronger competition policy. Justification for protection against foreign distortions of competition? The NIS proposes to examine to what extent distortions of competition by other states can be taken into account in merger control. Philipp Steinberg, Director General at the Ministry of Economics, correctly points out in his recent post that state intervention has an impact on the market position of companies. It should be examined whether this can be given greater consideration in merger control. It is true that a global level playing field does not exist. China has a completely different economic order from Europe. It is common there for companies to be protected and subsidised by the state and for entrepreneurial decisions to be influenced. The former can lead to them having a competitive advantage over European companies. Where these companies already exert competitive pressure on European companies, this must be taken into account under existing law. Under the Horizontal Merger Guidelines (recitals 68 et seq. ), the European Commission examines, for example, the extent to which likely market entries exert competitive pressure on the merging parties. However, market entry by subsidised and state-controlled enterprises is not per se more likely than by other enterprises. On the contrary, it is particularly difficult to assess the behaviour of such non-competitive actors. Saving competition today in order to compete (perhaps!) tomorrow against subsidised Chinese state-owned enterprises is therefore the wrong way to go. More targeted measures, including EU foreign trade instruments, should be considered as a matter of priority. To the extent that competitive pressure from these companies is neither now nor with sufficient probability exerted in the future, the facilitation of mergers to be prohibited under applicable law would ultimately amount to a situation in which a so permitted “champion” in Germany or Europe could achieve a monopoly return by exploiting consumers in order to then assert itself in other markets against subsidised competition from China. Using merger control as an instrument to exert pressure on other countries does not seem promising either. China will hardly continue to open its market to competition for fear of the emergence of European champions. Theoretically, the merger of large companies could be justified if it is intended to address a market failure. Merger control could then be used as an instrument to address such market failures. For example, assuming that there are too many cars on the roads in Europe and that these result in the externality of high emissions, a merger of car manufacturers might be useful precisely when it would lead to higher prices and lower sales of cars. The anti-competitive merger would be socially desirable. Although the strategy paper mentions the automotive industry, it is far from the intention of the Ministry of Economics to promote dominant companies in order to reduce their output. Such mergers would not internalise environmental costs but would create a monopoly return for dominant companies. To a certain extent, reducing output would be a side effect that would, however, be difficult to plan. Here, too, more specific means are available, first and foremost state aid and changes in taxation, to counteract market failure. Justification by considerations of distributive justice? Questions of distributive justice are traditionally not covered by economic assessment. Although a merger can lead to welfare losses overall, individual regions or groups of people can benefit from it. A merger then presents itself as a transfer of wealth. Such considerations are not new; they can already be taken into account in national law through the ministerial approval (section 42 of the German Act against restraints of competition). This was the case, for example, with the ministerial approval for the merger of the Greifswald University Hospital and the Wolgast Hospital, which was initially prohibited by the Federal Cartel Office in 2008. The Minister of Economic Affairs allowed the merger despite fears of considerable adverse effects on competition, among other things in order to promote the structurally weak region of Pomerania. Since such criteria can already be taken into account by the ministerial approval, a change in German competition law is not necessary. European competition law, on the other hand, does not provide for a corresponding regulation. The Commission has exclusive competence for merger control at European level (see recital 17 of the Merger Regulation). There are no possibilities for other institutions – with the exception of the European Court of Justice – to override their decisions. The “Franco-German Manifesto for a European Industrial Policy”, which is related to the strategy paper, proposes to examine possibilities for the Council, in appropriate cases, to repeal Commission decisions in merger control. The Council could then examine a merger with a view to its distributive justice. But that doesn’t seem to be what the Ministry of Economics has in mind. The yardstick would then have to be distributive justice in Europe. European champions, however, would tend to be created by mergers of large companies from rich Member States such as Germany and France and would therefore tend to distribute wealth from bottom to top, to the detriment of less developed Member States. This would hardly be compatible with the principles of solidarity and equality between the Member States laid down in Art. 2 and Art. 3 TEU. A ministerial approval (or better Council approval) at European level would therefore have to be based on reasons other than “size matters”. The idea of the Ministry to promote “national and European champions” within the framework of merger control is met with considerable concern. Where a merger of large companies – also with a view to efficiency gains and foreign competition (including by state-subsidised companies) – does not impede effective competition, it is already permitted. The proposal does not give any plausible reasons why it should also be allowed in other cases – market failure or distributive justice are certainly not the focus of the National Industrial Strategy 2030. It remains to be hoped that the industrial strategy with regard to the relaxation of merger control will actually only stimulate the debate, as Minister Altmaier said at the International Competition Conference. In the joint German-Polish industrial paper, there is only general mention of the need to discuss whether European competition law needs to be updated. Philipp Steinberg has also expressed the view that there is no intention to create a mechanism at European level that would correspond to the ministerial approval. It was just about reflecting on such a possibility, as he wrote. However, it remains the case that the industrial policy objectives of the Ministry of Economics do not provide any plausible arguments in favour of such a new provision. The debate on Council approval should therefore be separated from the debate on industrial strategy. It remains unclear what the added value would be of taking greater account of foreign anti-competitive behaviour in merger control. Merger control is not the appropriate instrument for working towards an international level playing field. In this respect, the Ministry of Economics should advocate the use of other instruments (in particular trade defence instruments, control of foreign direct investment and promotion of multilateralism). Other aspects of the strategy paper are welcome and should be pursued. This applies in particular to stronger abuse of dominance control. It is also conceivable to lower the turnover thresholds for mergers with a particularly high transaction value, which Philipp Steinberg brings into play. Here, European merger control could follow the German and Austrian example. Tech takeovers such as Facebook/Whatsapp would thus be easier to grasp. Johannes Persch, LL.M. 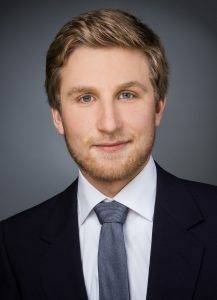 (Chicago) is a trainee lawyer at the Düsseldorf District Court and a research assistant at the Chair of Civil Law, German and European Business and Employment Law (Professor Kainer) at the University of Mannheim.